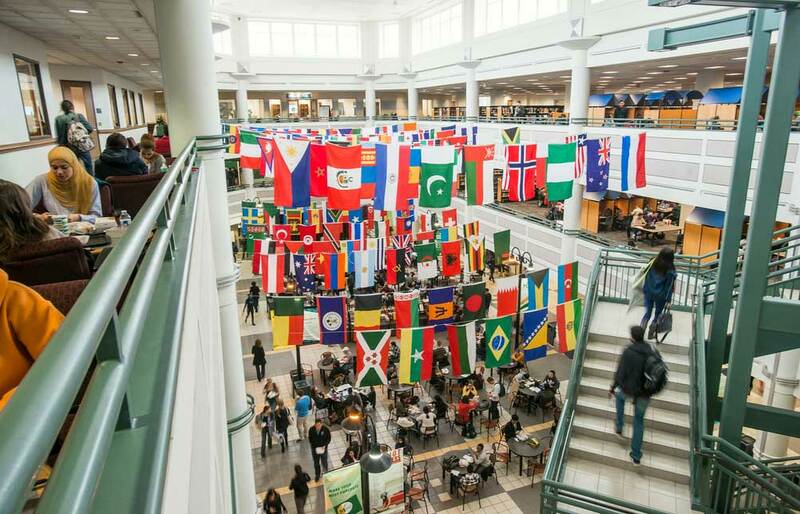 INTO Mason is located within the Mason Global Center, just a 5-minute walk from the center of campus. This spacious 7-story residence hall is home to over 270 Mason students, with social areas on every floor and free laundry facilities. There are 22 classrooms in the building where many Academic English students will take their classes. You don't have to walk far to find something to eat. The Globe dining hall is located on the ground floor of the building featuring diverse international cuisine 365 days a year. 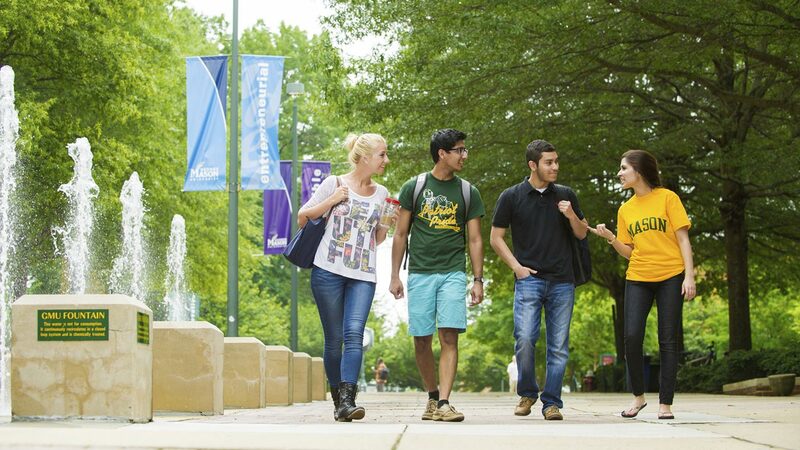 At George Mason University you'll live and learn in a supportive, multicultural community ready to welcome you. 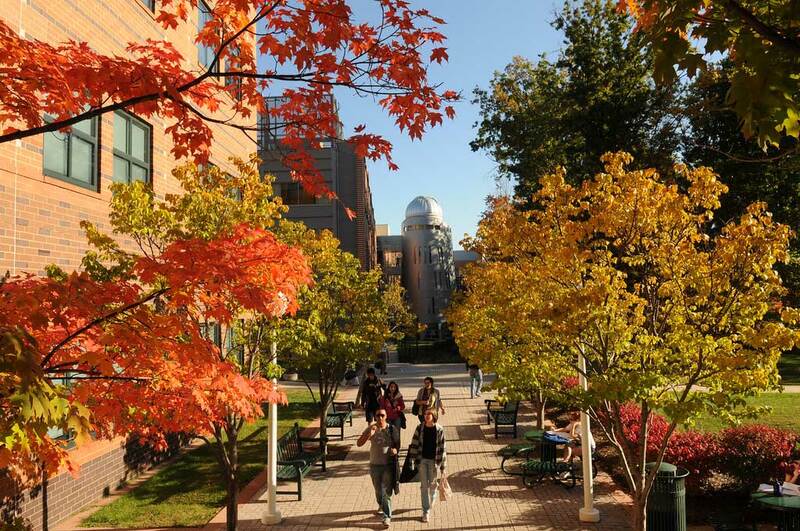 When you're on George Mason's campus in Fairfax, Virginia, you're just 45 minutes away from Washington, DC. 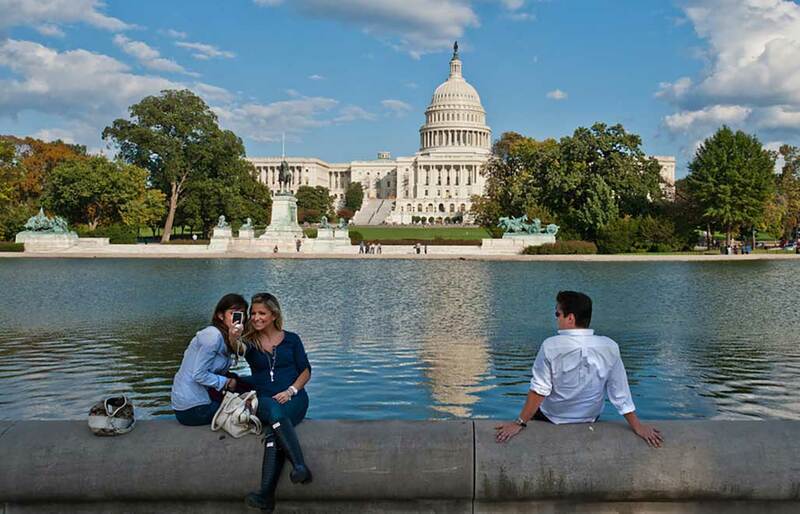 Being so close to the US capital gives you exclusive career-building opportunities during your studies. You also have easy access to more cultural events and world-famous museums than you have time to see in a lifetime. 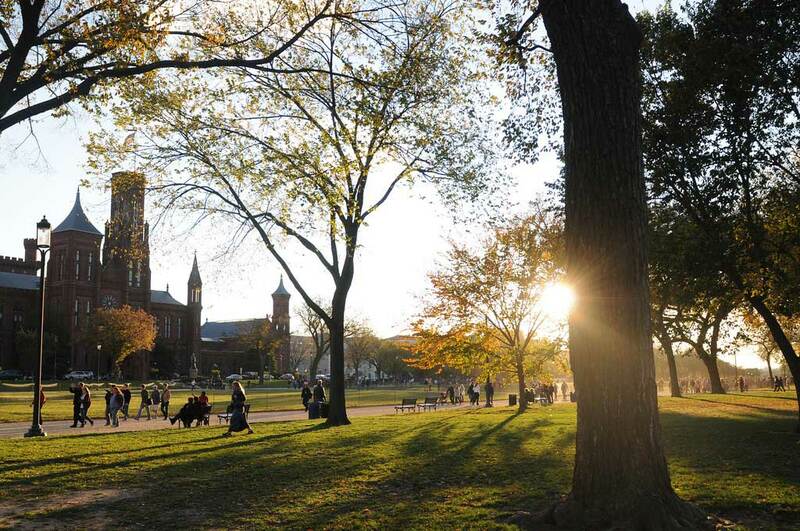 It's no wonder The Huffington Post ranks our location as "the Most Popular City for Young Adults." Mason's 200+ degree programs offer you choice and flexibility across disciplines. We'll help you choose the best program to meet your goals. You might want to start your own business in the Mason Innovation Lab. Maybe you'll seek a patent for an invention you build with your classmates in the engineering school. Whatever you decide you want in life, we'll make sure you have the best start right here. The Mason Global Center is the hub of your first year experience at Mason. Originally designed as a hotel, this building has everything under one roof including classrooms, an international dining hall, 6 floors with 135 rooms and plenty of social spaces. Make an appointment to meet with your professor, attend a Tea & Talk cultural event hosted by our Student Experience team or meet your friends for dinner during a theme night at The Globe. Wondering where to go when you need a tutor? The Learning Resource Center (LRC) is the place to go when you want one-on-one help with writing, math or other subjects. You'll have access to dedicated tutors who are experienced at assisting English language learners. The LRC is also a computer lab and quiet study space where you can borrow a laptop and work on group projects. Looking for a taste of home? You can find it at The Globe, one of the three on-campus dining halls, which serves an ever-changing menu of international cuisine. It's open every day of the year, and you can always find halal, vegetarian, Kosher and gluten-free options there. And if you're craving a special dish, you can make a request to have it on the menu. Please bring us your recipes from home!